The Best Animated Short Film at The Academy Awards is one that often goes overlooked, since most of these films aren't seen in theaters by a wide audience. 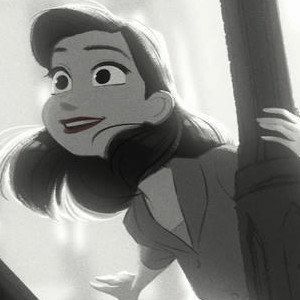 However, those who went to see the successful Disney comedy Wreck-It Ralph were treated to the black-and-white short film Paperman, one of the nominees vying for the Best Animated Short Film award at the 85th Annual Academy Awards next month. In case you missed it in theaters, Walt Disney Pictures has released director John Kahrs' full short film for all to see. Take a look at this whimsical story about a young man desperately trying to attract a woman's attention, by using paper airplanes.